Description of the project: Started in 2012, this project aims to empower women and local communities to address food security problems under climate change. This is achieved in four ways: 1) mobilizing women to adopt a low-carbon food consumption lifestyle through workshops; 2) supporting women to launch climate change campaigns in their communities; 3) providing a free online map to promote local food sourcing from “green spots”; 4) drawing the government’s attention on food education in communities and schools. Climate Impact: In the past decade, the number and the intensity of typhoons have escalated, threatening Taiwan’s food supply. 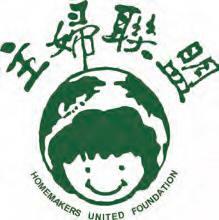 Homemakers United Foundation has convinced 580 small farmers to use NON-GMO seeds and sustainable farming practices. Between 2012 and 2016, 100 food education programs have been held in Taipei, Taichung and Kaohsiung, with 4,000+ moms and members of the local communities participating. In 2015 a “Green Food Community Online Map”, was launched, mobilizing youth on an “anti-climate change” action on a daily basis.